The upstate New York monastery has hired outside consultants and therapists to address improper sexual relationships between Lama Norlha and his students. 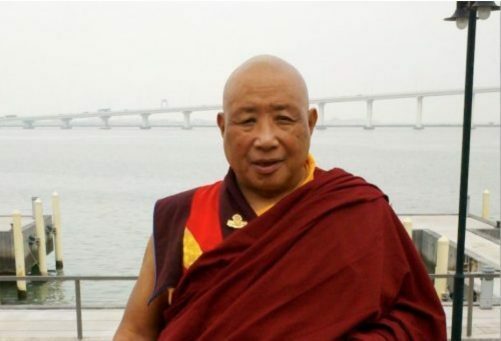 Earlier this week we reported on the recent decision of Tibetan Buddhist teacher Sogyal Rinpoche to “enter a period of retreat and reflection” following accusations of sexual, physical, and psychological abuse from longtime students. This isn’t the first such case of unethical behavior to come to light this year. Lama Norlha, 79, the abbot of the Kagyu Thubten Choling Monastery in Wappingers Falls, New York, issued a taped apology for his own sexual misconduct, presented at a community-wide “disclosure meeting” in April. At that meeting, statements were read by six women (three were present, and three had their statements read in absentia) regarding their relations with Lama Norlha. Two women had come forward in December of last year. Lama Norlha, it turns out, had been sexually involved with students for decades. There are three areas in which we focused our attention. The first was to acknowledge what took place and prevent further student-teacher sexual relationships. One of the first steps taken was to have the teacher placed on leave of absence, and he has since stepped down. The second was to work with people and specialists inside and outside of the KTC community (including professionals in this field) to institute policies to address the needs of everyone involved, including the creation of an Ethics Policy and Protocol for Maintaining a Harmonious Environment for Spiritual Practice that prohibits student-teacher sexual relationships as well as addressing other types of misconduct that could potentially occur. Third, we have worked to heal our community and move forward, using this event as a painful spur to put dharma principles into action in everyday events.